If you want to stay in the Toyota family and need an alternative to a minivan, consider the Toyota Highlander. It drives the same as the Sienna but has a more SUV-like appearance. 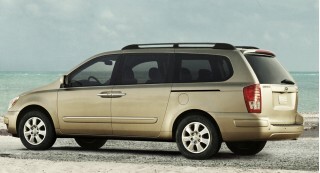 The 2009 Toyota Sienna is by no means exciting, but it will do a family right. 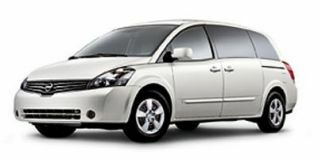 The experts at TheCarConnection.com looked to some of the most respected review resources on the Web to compile information on the 2009 Toyota Sienna. 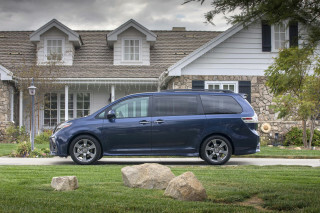 TheCarConnection.com’s editors have also driven the Sienna and added their own observations and insights to help you make the best purchase choice. The 2009 Toyota Sienna minivan has been on the market for five years with no major changes, and it shows. While it is still a large, comfortable, and versatile van for big families, its styling is outdated and its competitors have newer, more stylish products on the lots. Luckily for Toyota Sienna fans, an all-new version is due for 2010. The Sienna soldiers on for 2009 with very few changes. For those who want a great, long-lasting family vehicle, the lack of cutting-edge style might not matter so much. The 2009 Toyota Sienna can seat up to eight and haul them in relative quickness, thanks to its 266-horsepower 3.5-liter V-6 mated to a five-speed automatic transmission. 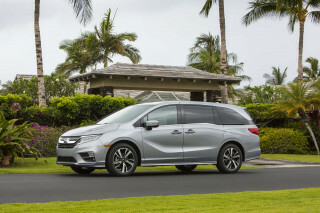 It isn’t exactly exciting to pilot, but it is smooth and quiet, which are attributes minivan drivers are looking for—and there’s plenty of passing power when you need it, even with a full load. The base Sienna is front-wheel drive, but the LE, XLE, and XLE Limited models are available with an all-wheel-drive system for all-weather traction. "Minivan" may be a bad word for many mothers, but for pure practicality, they are hard to beat. 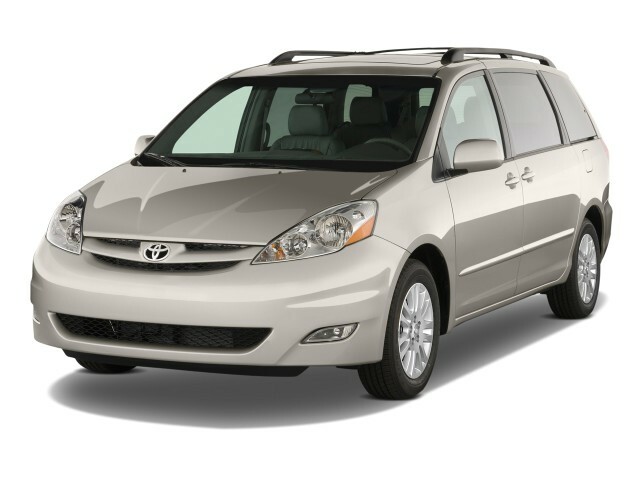 The 2009 Sienna is an excellent example of that functionality; its very spacious interior features a third-row seat that folds neatly into a well, allowing plenty of flat, low space for cargo while maintaining seating for five. If you don’t have people to haul, the second row folds flat as well and can carry an actual 4x8 sheet of plywood. Top 2009 Toyota Sienna XLE and XLE Limited models get twin captain’s chairs in the second row instead of the three-place bench seat. The Sienna’s interior is rich on features—including standard dual sliding doors and the folding third-row seats on all models. For power sliding doors, a power folding third row, and a power rear tailgate, you have to move up to the higher trim levels. Its interior materials and appointments feel a bit less refined compared to those of its competitors. The options list on the 2009 Toyota Sienna would be right at home on a luxury-brand vehicle. It includes a rearview video camera, front/rear parking proximity warnings, side sunshades, laser-guided cruise control, a DVD entertainment system, satellite navigation system, and a JBL surround-sound audio system (standard on the XLE Limited) that includes Bluetooth hands-free connectivity. The Sienna posts quite good results in U.S. crash tests, with four- and five-star ratings for frontal impact, five stars in side impact from the federal government, and "good" judgements from the IIHS in frontal and side impact. Unfortunately the IIHS deems the Sienna "poor" in the seat-based rear impact test, which gauges the risk of whiplash injury, among other things. Electronic stability control and anti-lock brakes are standard on every grade of the 2009 Toyota Sienna, as are front side airbags and side curtain bags covering all three seating rows. The 2009 Toyota Sienna celebrates anonymity and practicality. When it comes to styling, minivans can’t get a break. They are designed to carry maximum amount of cargo—human and otherwise—while also being safe and fuel-efficient, and that dictates their shape. Most families will find exactly what they need here: confident passing power, and generally safe but unexciting performance otherwise. The 2009 Toyota Sienna bland styling hides a very robust engine and transmission that reviewers love, paired with handling that that can be best described as "laid back." The enthusiast family man/woman needs some excitement, and surprisingly the Sienna delivers in straight-line acceleration. The 3.5-liter DOHC V-6 features dual variable valve timing for the best of low-end torque and high-end power. Its 266 horses and 245 pound-feet of torque make it “the strong, silent type, rushing to 60 mph in 7.2 seconds” by Car and Driver’s stopwatch. Kelley Blue Book attests the engine “delivers where it counts,” and Edmunds admits “there's no denying the potency of the new V6 when you step into it.” Despite its athletic acceleration, the Sienna offers competitive EPA ratings of 17 mpg city, 23 mpg highway with front-wheel drive; all-wheel-drive models drop to 16/21 mpg. With the exception of a few drab materials, the 2009 Toyota Sienna offers Lexus luxury at a Toyota price. The 2009 Toyota Sienna may not be a sportscar, but with Toyota quality and Lexus-like refinement, it could be mistaken for a luxury car—a very capable and functional one, at that. Of the second and third rows, Edmunds is careful to point out that the Sienna is “one of the roomiest minivans available,” and in Car and Driver’s minivan comparison, the Sienna’s optional “second-row captain's chairs were rated highest for comfort.” A bench is standard fare. Kelley Blue Book notes “the Sienna's seats take full advantage of the van's roomy interior, with wide seat bottoms as well as firm back rests.” “Bench or buckets, the 2nd-row seats seem long-haul comfortable,” critiques Consumer Guide. The Sienna is one of the few minivans to offer true eight-passenger capacity. The 2009 Toyota Sienna doesn’t stand out in terms of safety ratings, but it has the goods to make families feel secure. 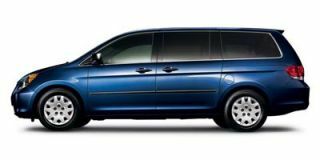 Most minivans are typically among the safest vehicles, so it takes especially strong crash-test scores or innovative features to score high here. The 2009 Toyota Sienna doesn’t get the highest scores, but it still possesses more than enough active and passive safety to easily recommend it for hauling your most precious cargo. There’s a trim level to meet a range of budgets, but any way you get it, the 2009 Toyota Sienna’s interior has some nifty storage features. The 2009 Toyota Sienna offers several features, such as all-wheel drive, that make up for its ho-hum styling. “The 2009 Toyota Sienna minivan comes in four trim levels—CE, LE, XLE and XLE Limited,” explains Edmunds. CE and LE models may be had with a second-row bench or captains' chairs, providing them with eight- or seven-passenger capacity. XLE and XLE Limited models come only in the seven-passenger varieties. All except the CE may be optioned with all-wheel drive. Notable standard features, according to Kelley Blue Book, on the base model include a V-6 engine, five-speed automatic transmission, anti-lock brakes, Vehicle Stability Control (VSC), Traction Control (TRAC), 10 cup holders, rear defroster, side-impact and side-curtain airbags, dual sliding side doors with power windows, power door locks, illuminated remote keyless entry, power liftgate release, AM/FM stereo with CD, tilt/telescopic steering wheel, power windows, full wheel covers, and a rear wiper. That is, it's well equipped for $25,000. Depending on the trim, items may be added to that roster. Kelley Blue Book’s list of notables includes features such as the aforementioned all-wheel drive, power seats, leather interior, heated front seats, cruise control, dual power sliding side doors, JBL audio with 10 speakers and Bluetooth technology (standard on Limited), power-folding third-row seat (Limited), four-wheel disc brakes, power lumbar support, DVD rear-seat entertainment system, and alloy wheels. The Limited trim offers Dynamic Laser Cruise Control, and Limited and XLE offer optional navigation as part of the JBL audio upgrade.